TAM SMPS , it is one of our core product in our distributed brands, TAM consists of LED smps, switch mode power supply, SMPS-Power Supply, LED Driver, AC-DC Converter, SMPS, LEDDrivers,Rainproof Power Supply,LED power supply.We are dealing wide range of products in it & supporting the customers in better aspects all overIndia. SMPS major customers for TAMSMPSare presented in all over India. We are covering TAM smps in Chennai,Coimbatore,Hyderabad, Mumbai, Pune, Goa, NewDelhi,Bangalore, Noida,Delhi,Rainproof Power Supply Chennai, Gujarat, Surat, Ahmadabad Maharashtra, Kolkata,Mysore, Faridabad, Ghaziabad,West bengal, Rajkot etc. TAM low output voltage AC/DC enclosed typepower supplies for LED display applications are ideally suited for LED signage & LED Strips Lights. Our selection features high efficiency and conformal coated circuit boards for protection from dust and humidity. Range Starts From 60w,100w, 150w,200w,300w,400w. 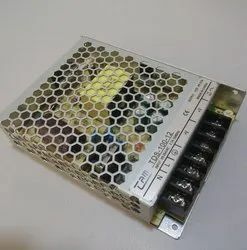 TAM low output voltage AC/DC enclosed typepower supplies for LED display applications are ideally suited for LED signage. Our selection features high efficiency and conformal coated circuit boards for protection from dust and humidity. Industrial Power Supplies. In the automated production process, a power supply is the basic component that requires high stability and safety protection functions.The Panel mounting models under Comes TDS Series are highly efficient and stable industrial power supplies. 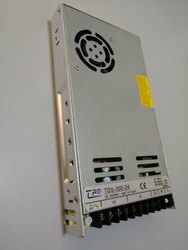 We are dealing wide range of TAM products like Non-Waterproof PowerSupply from all over India. SMPS - CE Certified ,5,12,24,36,48. Rain proof power supply - Range Starts From 60w,150w,200w,300w,400w. 2 years warranty.